Region: Frederick, Maryland area, close to Washington, D.C. and Baltimore. Stone Manor Inn Bed & Breakfast, orginally constructed in the 18th century, offers award winning New American cuisine and six luxurious suites. The lodging suites offer a selection of antique furnishings, whirlpool baths, fireplaces, in-suite breakfasts and queen sized beds. All three dining rooms offer dinner by the glow of candlelight and fireplaces. Where you visit for a romantic get-away, an elegant dinner, an executive retret, business meeting or wedding and reception, the old world grace and style of Stone Manor guarantees a memorable experience. 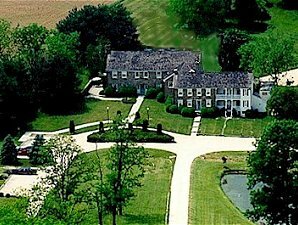 The beautiful stone inn is surrounded by 114 tranquil acres at the foot of the Catoctin Mountains in Frederick County, Maryland, thereby providing the peace and solitude that one can only find in a rural setting. The Inn is a member of the Select Register and is the recipient of both the DiRoNA and "Wine Spectator" Magazine's Award of Excellence. Stone Manor continues to be recognized by the "Washingtonian" Magazine as one of the top 100 restaurants in the Washington Metropolitan area. 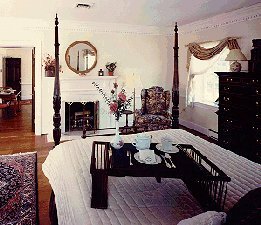 The Bed and Breakfast is conveniently located to antique shops, Civil War battlefields, and numerous state parks, and only an hour away from both Washington DC and Baltimore MD. This and other Frederick Bed and Breakfast Inns can be found here in The Register.